Size of this PNG preview of this SVG file: 511 × 600 pixels. Other resolutions: 204 × 240 pixels | 409 × 480 pixels | 654 × 768 pixels | 872 × 1,024 pixels | 512 × 601 pixels. 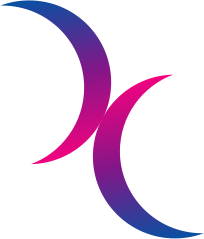 English: Illustration of the double moon symbol used by bisexuals who wish to avoid the use of triangles. This example is in the colours of the Bisexual Pride flag. This symbol was created with an unknown SVG tool. current 10:44, 9 April 2018 512 × 601 (1 KB) Thomas Linard SVGOMG optimization.